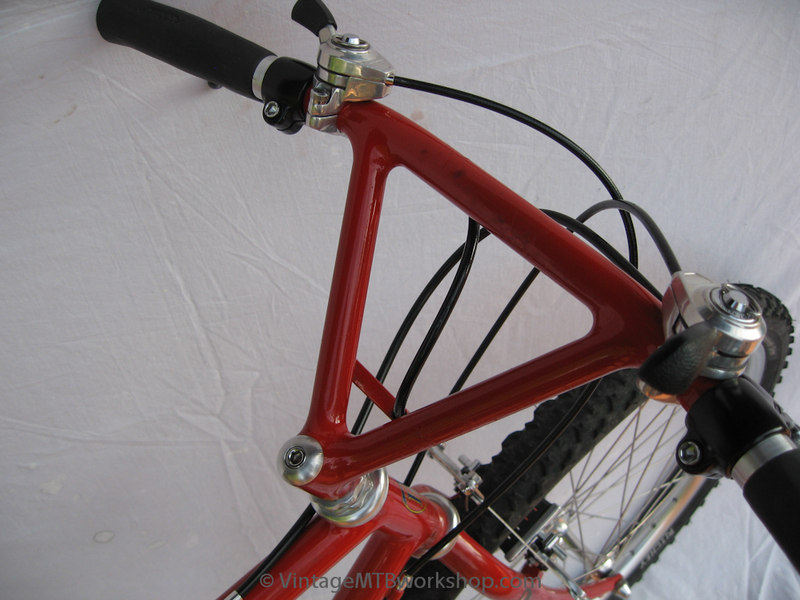 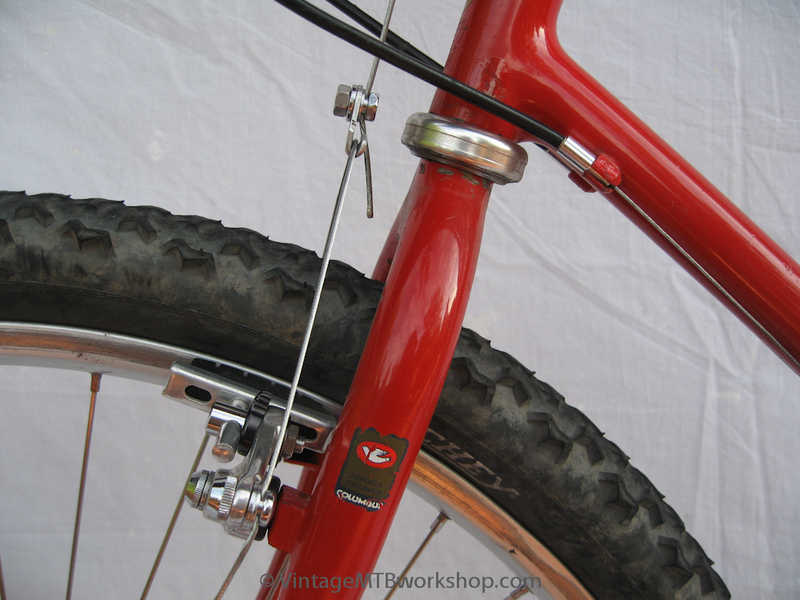 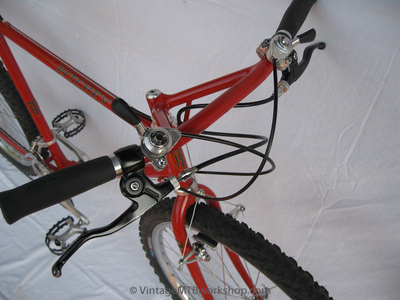 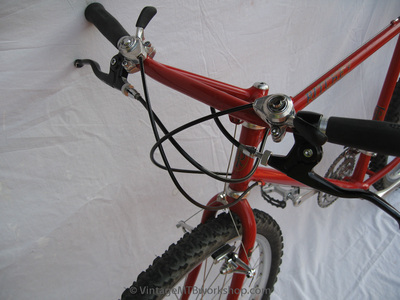 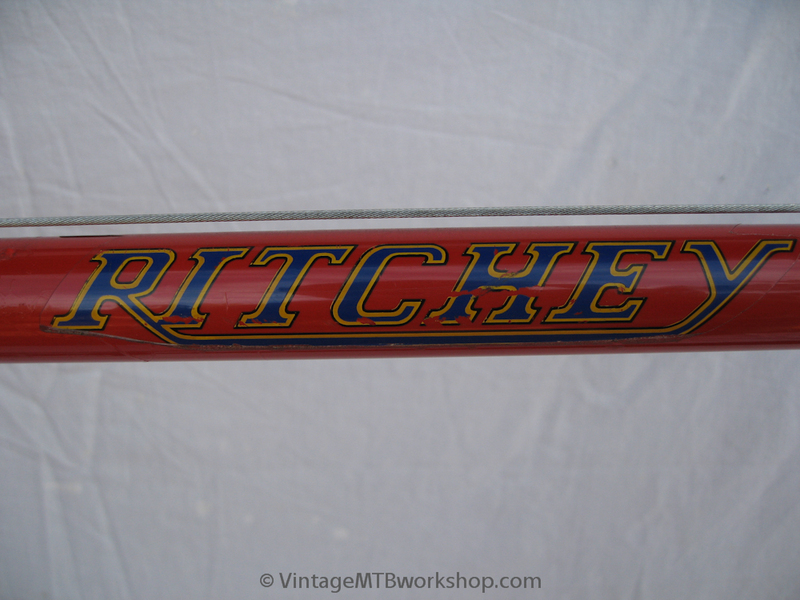 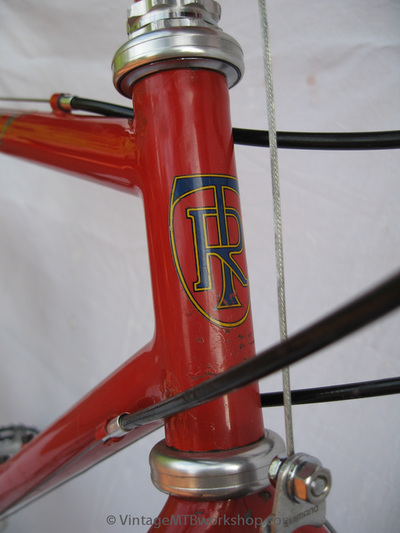 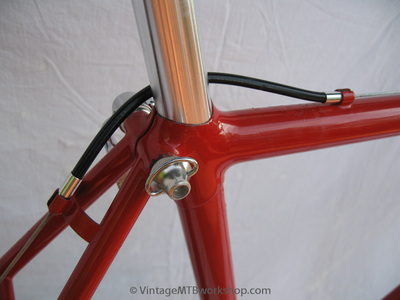 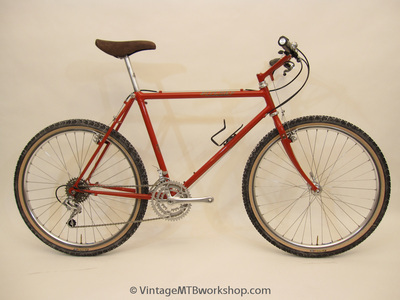 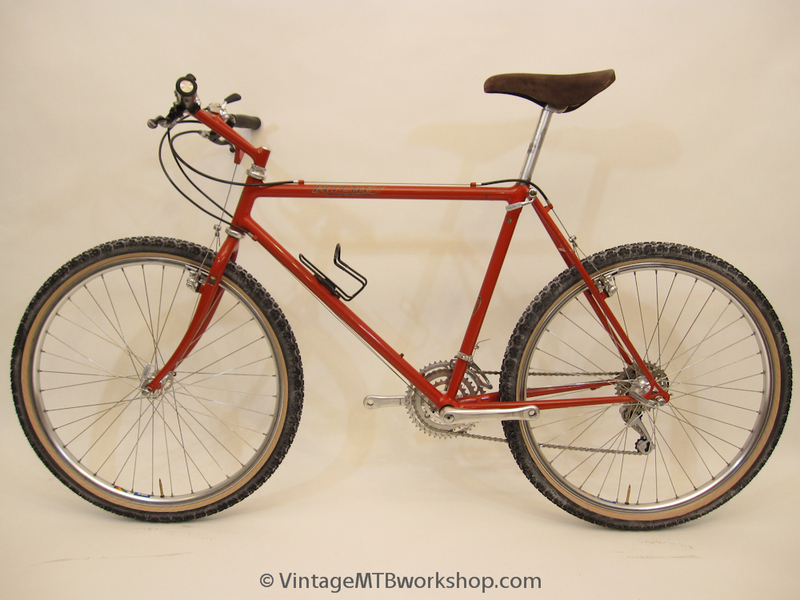 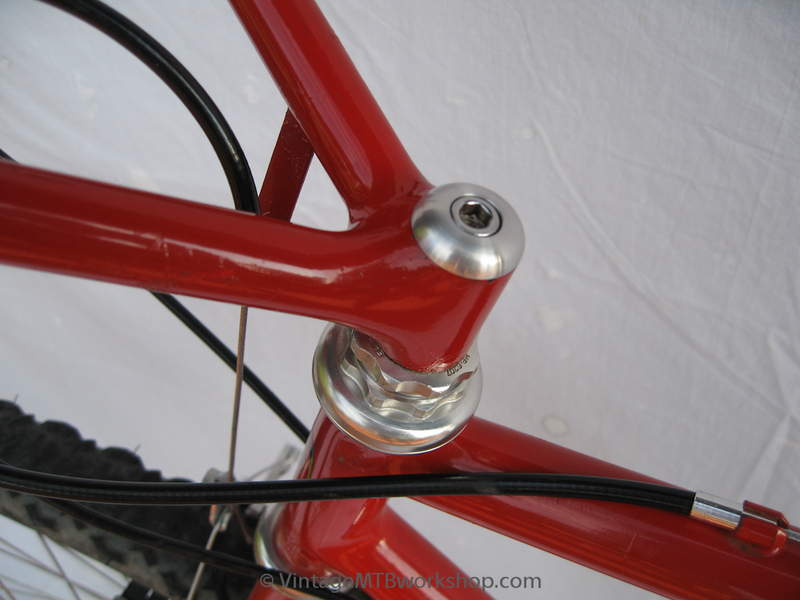 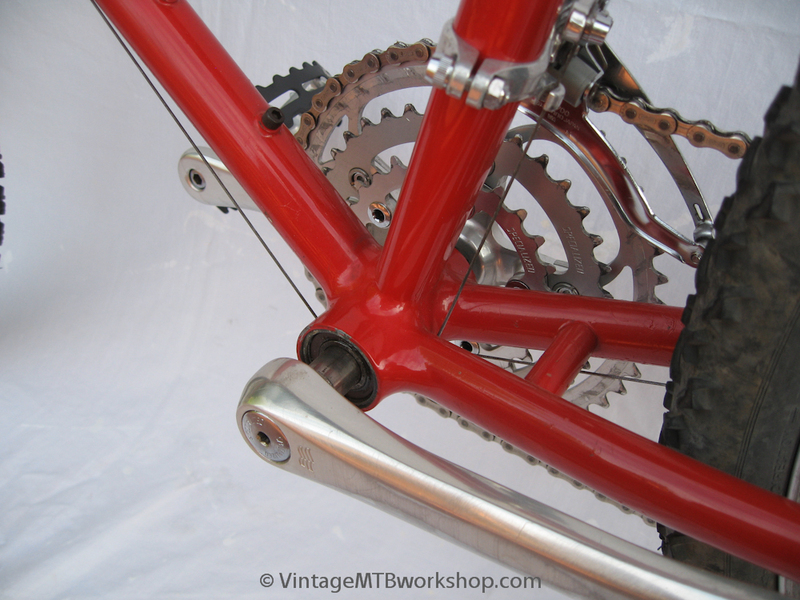 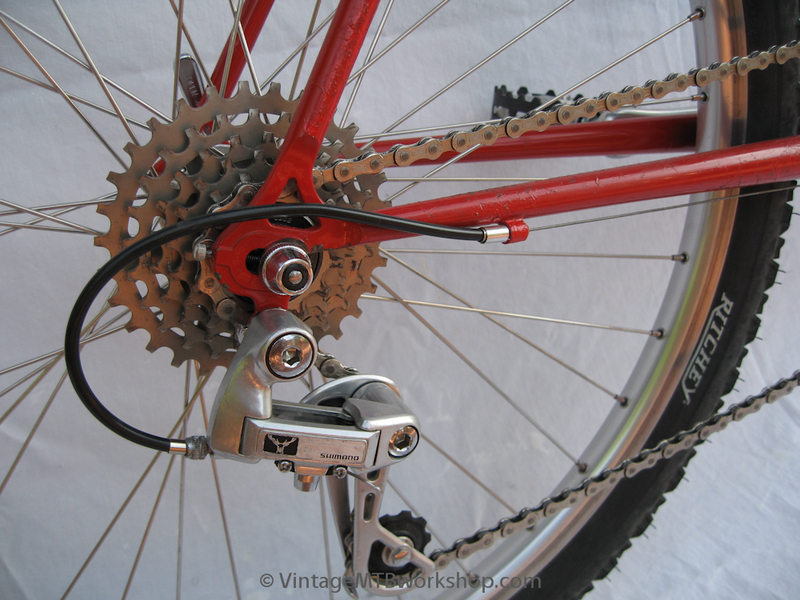 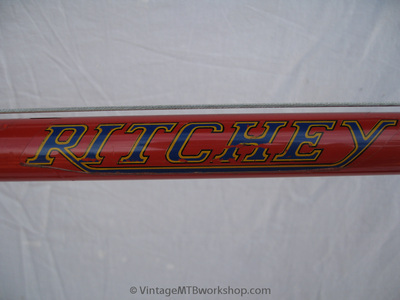 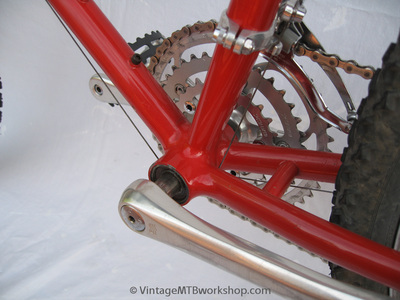 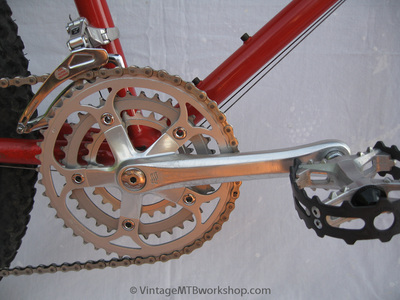 The Team Comp was the predecessor to the Super Comp in the Ritchey line, and featured some of Tom's best craftsmanship. This particular Team Comp is nice in that it has a low-rise bullmoose bar, for a racer position on the bike. 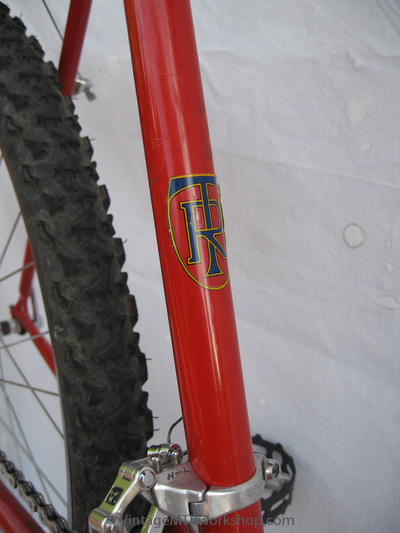 Also characteristic of the Team Comps are the double water bottles on the downtube to enable easy portaging of the bike over the shoulder, and the placement of the decal on the toptube rather than the downtube.